Machen is biblical, insightful, and clear, as always. 5 stars. Two thumbs way up. Most of his dealings with "higher-criticism" are straightforward or under-the-surface, but a few times move almost into the academic. 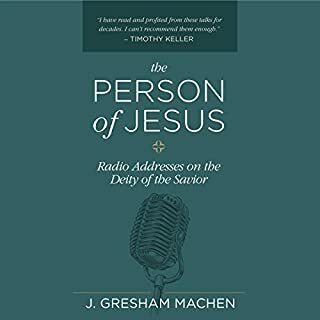 The narration is great, although it starts out over-reading Machen's "holy indignation". This thankfully turns into a polemical charm that is quite enjoyable and ought to have been characteristic throughout.